Administrative Law Judge June R. Lehrman, Office of Administrative Hearings, State of California, heard this matter in Montebello, California, on October 4 and 5, 2011. Matthew Pope, Attorney at Law, represented Student. Student’s mother (Mother) and father (Father) (collectively Parents) attended the hearing on both days. Student attended the hearing on October 4, 2011. Carlos Gonzalez, Attorney at Law, represented Montebello Unified School District (District). Lorraine Verduzco, Acting Director of Special Education, and Donna Wakano, Teacher on Special Assignment for Compliance, attended the hearing on both days. Student filed the request for due process (complaint) on June 27, 2011. The matter was continued for good cause on August 11, 2011. At hearing, the parties requested and were granted a continuance to file written closing arguments by October 19, 2011. Upon receipt of closing arguments, the record was closed and the matter was submitted. Did District deny Student a Free Appropriate Public Education (FAPE) in her March 2011 Individualized Education Program (IEP), and addenda, by failing to offer transportation and aide services necessary for her to attend a community college art class? 1. Student, who turned nineteen years old on October 16, 2011, was diagnosed with autism in 1995. At the time of the events at issue in this due process matter, she was an eighteen year old twelfth grader in her last year of high school. Student had received special education and related services since pre-school. She had attended District schools since second grade. 2. During the 2010-2011 school year, Student attended a special day class (SDC) for severely handicapped students at Schurr High School (Schurr) within the District, with 1:1 aide assistance. The curriculum was based on California Content Standards as modified for moderate to severely handicapped students. The curriculum taught life skills, and emphasized functional rather than academic performance. Student’s academic performance in the SDC class was at the third-to-sixth grade level. 3. Student required assistance, prompting, extra time, and additional explanation of any new instructions. She functioned independently when she had an established routine and when tasks were broken down into smaller parts. She maintained friendships with peers and had no negative behavioral issues. 4. Student was on a “certificate track” that was anticipated to result in a Certificate of Completion rather than a general education diploma. The Certificate of Completion was for those students who could not complete the required units of academic subjects and pass the required high school exit exam. 5. During the 2010-2011 school year, Student was mainstreamed in the general education art classes taught by Art Teacher Eric Greene. She took Mr. Greene’s Drawing & Painting 3, and Drawing & Painting 4 classes. Student had previously taken Mr. Greene’s Drawing 1 and Drawing 2 classes during the 2009-2010 school year, and before that had passed a class in Art Fundamentals. Mr. Greene has a B.A. in painting and a master’s degree and has taught art at Schurr for 12 years. He teaches classes in Art Fundamentals, Drawing 1 and 2, Drawing & Painting 3 and 4, Commercial Art and Art History. He is also a working fine artist whose work has shown in galleries in Los Angeles and New York City. 6. Mr. Greene’s regular curriculum emphasized technical mastery, but also the history and philosophy of art, the elements of design, and art criticism. Student could not keep pace with this curriculum. Student was on a modified curriculum in Mr. Greene’s classes. Mr. Greene focused his instruction on Student’s technical skills, because she could not keep pace with the concepts he taught. She also made less art than the other students, and took more time to complete her projects. Consequently, Mr. Greene gave her fewer assignments. Mr. Greene instructed Student’s 1:1 aide to explain and break down Student’s tasks and assignments. 7. Despite her disabilities, Student is nevertheless very talented as an artist, evidenced by the credible testimony of Mother and Father, who are both professional and highly-trained working artists, and who introduced samples of Student’s artwork into evidence at hearing. Mr. Greene also attested to Student’s giftedness in this area. Student published a website calendar for over six years and sold her work, including illustrated coffee mugs and over 350,000 units of illustrated hot-cup sleeves, with profits going to the Autism Speaks Foundation. She also successfully competed in a variety of local art competitions. Her technical skills were advancing at a high rate in Mr. Greene’s classes, and he considered her work to be “refreshing,” to contain great color theory and composition, and to be full of “movement and whimsy.” At hearing, Mr. Greene explained that Student’s artwork provided a view into her world, showing her experience through her eyes, and was “cool.” Mr. Greene also advised that Student was prolific in the types of work she made. He felt that Student’s autism did not affect the aesthetic aspects of her work. 8. On or around January 14, 2011, District School Psychologist Heather Mendelson assessed Student in preparation for her triennial IEP. Ms. Mendelson performed a records review, teacher and Student interviews, classroom observations, and the following standardized tests: the Comprehensive Test of Nonverbal Intelligence (CTONI); Vineland Adaptive Behavior Scales; Beery-Buktenica Developmental Test of Visual-motor Integration; and the Goodenough Harris Draw a Person Task. 9. The CTONI measures nonverbal cognitive abilities. Ms. Mendelson selected this instrument because of Student’s diagnosis of autism. Average scores range from 85-115. “Borderline” scores range from 70-85. Mild intellectual disability scores range from 60-70. Moderate to severe intellectual disability scores are lower than 60. Student’s overall scores indicated below average cognitive abilities ranging between “borderline” and mild intellectual disability. 10. The Vineland Adaptive Behavior Scales measure performance of the daily activities that are required for personal and social sufficiency, including communication skills, daily living skills, and socialization. Student performed at an approximate age equivalence range of a nine-year-old child for communication and daily living skills, and a five-year-old child for socialization. Ms. Mendelson, who had previously assessed Student, noted significant growth in her adaptive skills from prior assessments, particularly in the areas of communication and daily living skills. 11. The Beery-Buktenica Developmental Test of Visual-Motor Integration measures perceptual maturity. Student performed at the level of a 14 year old. The Goodenough Harris Draw a Person Task measures mental maturity. Student performed at the level of a nine year old. Teacher interviews indicated that Student’s academic skills were at approximately the fourth grade level. 12. Ms. Mendelson recommended continued eligibility for special education and related services, focusing on continued improvement in socialization, communication and academic growth. She did not make any further recommendations. At hearing, Ms. Mendelson acknowledged that none of her tests measured artistic talent. 13. Sometime in the spring of 2011, in preparation for Student’s upcoming triennial IEP, School Psychologist Araceli Sosa met with Parents and showed Father the computer animation art class that was offered at Montebello High School. The class focused 50 percent on computer skills and 50 percent on artistic expression. When he visited, Father was impressed by the modern computer equipment that was available in that class. 14. Ms. Sosa worked with the teachers at the District’s Adult Transition Program (ATP) housed at Montebello High School. The ATP was a four-year program for students ages 18-22. The ATP focused on functional and community-based instruction for independence and daily living skills like budgeting, meal preparation, self-care and functional academics (e.g., writing a letter, math skills for banking and making change, etc.). Afternoons at the ATP were devoted to vocational training appropriate to students’ needs. All students in the ATP had been on a Certificate of Completion track, and had IEPs recommending continued functional skills or vocational training. The types of vocational training offered in the ATP were for retail service jobs, hospitality industry positions, and clerical tasks. A regional occupational program, District programs, and community-based service organizations were coordinated to offer training in areas such as automotive industries, packaging and merchandising. 15. When travelling off-site to attend vocational training programs associated with the ATP, students could receive support from District staff for safety and job coaching. At hearing, Ms. Sosa expressed that the same type of support could not be provided to an ATP student who wished to attend a college course, because the college course was not a program connected with the District. Students in the ATP would be free to explore open enrollment in college level courses, as would any other student. Typically, however, no students who were in the ATP explored college classes, due to their cognitive deficits and the ATP’s focus on functional skills. Ms. Sosa has seen no exceptions to this generalization. In her opinion, any expectation of college level courses for students in the ATP was inappropriately high. 16. The IEP team convened on March 4, 2011, to review assessments, eligibility, and Student’s previous goals and progress. The attendees included Parents, Student, Special Education Teacher Roseanne Yu, School Psychologist Kimmie Ha, a speech/language pathologist, an adapted physical education teacher, a District administrator, representatives from Student’s 1:1 aide agency, and Student’s East Los Angeles Regional Center caseworker. 17. The draft IEP document created in preparation for this March 4, 2011, team meeting contained goals in the area of speech and language, writing, mathematics, vocation, and motor skills. The goals were functional rather than academic. Specifically, the team developed speech goals designed to help Student recognize breakdowns in communication, and to use pronouns appropriately. In addition, the team developed a writing goal to improve Student’s written coherence, as well as a mathematics goal to address payment for goods and services, and to get correct change. Finally, the team developed a vocational goal designed to help Student attend to tasks, and to self-direct back on-task if interrupted. 18. The March 4, 2011, draft IEP contained a page entitled “Individualized Transition Planning” (ITP). Ms. Yu, special education teacher, drafted this document. In pertinent part, the portion of the ITP entitled “Summary of Transition Needs” stated that Student was preparing to attend the Montebello ATP, and that East Los Angeles Community College (ELAC) and California State Los Angeles (Cal. State L.A.) were “considered to be alternates/additions she can take while attending Montebello.” The draft contained the following “post secondary goal” for the “post school need” in the area of need of Education: “Upon completion of high school, [Student] will go to Montebello High School and college classes that (sic) commensurate with her abilities and personal goals.” Ms. Yu drafted the Summary of Transition Needs, and the postsecondary goal for education, such that Student would attend college classes simultaneously with the ATP. From the draft language of the ITP, Parents anticipated that Student would attend college art classes during her attendance in the ATP. Parents’ understanding was that the ATP was post high school, thus postsecondary, and therefore there was no conflict between Student attending the ATP and simultaneously embarking upon her post-secondary goal of attending college. 19. At the March 4, 2011, IEP meeting, Parents discussed their concerns. Parents wanted support for Student to go to art classes at Cal. State L.A., as they anticipated Student would make her living as an artist. 20. The team made an offer of placement and services for the balance of the 20102011 school year. Specifically, the team offered continued placement in an SDC. Since the team anticipated that Student would receive her Certificate of Completion from Schurr in June 2011, the team offered the ATP at Montebello High School for the 2011-2012 school year. 21. The March 4, 2011, IEP was not completed on that day. Although Father signed the March 4, 2011, IEP, Student’s placement and services for the 2011-2012 school year were still under discussion, as confirmed in the IEP Notes, until an addendum IEP team meeting could be convened. This was considered necessary because Leonard Martinez, District Teacher on Special Assignment (TOSA), was considered an essential IEP team member to discuss the ITP, and was not available on March 4, 2011. 22. The team reconvened on April 8, 2011, for an addendum IEP meeting. The attendees included Parents, Ms. Yu, Mr. Martinez, a District administrator, and attorneys for both Student and District. 23. In preparation for this addendum meeting, Ms. Yu re-drafted the ITP. The only pertinent change was to the “post secondary goal” for the “post school need” in the area of need for Education. The new version stated: “Upon completion of high school and the adult transition program, [Student] will attend college classes that (sic) commensurate with her abilities and personal goals.” Thus, while the earlier language indicated that Student would pursue her postsecondary goal to attend college classes simultaneously with the ATP, the new language indicated that Student would not attend college classes until after completing the ATP. In all other pertinent respects, the IEP did not change from the March 4, 2011, version. 24. Ms. Yu made this change at the direction of Mr. Martinez. Mr. Martinez considered the original language to be incorrect. In his view, the ATP was part of secondary school, and thus Student could not pursue a postsecondary goal while still attending the ATP. 25. Mr. Martinez, who testified at hearing, is a teacher of language arts and social studies. He has an extensive background in special education. He has special education credentials for mild to moderate and moderate to severe disabilities, has received behavioral intervention training, and previously taught a self-contained classroom for students with autism. In his current TOSA position, he provides District with support on transition issues. Mr. Martinez knew Student from doing training and professional development with her teachers. He had never formally assessed Student, but had interacted with her 50-60 times. He and Student had frequently discussed Japanese animation, of which they were both big fans. 26. At the April 8, 2011, IEP meeting, the team engaged in further discussion regarding Student’s post high school placement. Parents requested an aide and transportation for Student to attend the art program at Cal. State L.A. District expressed that the art class at Montebello, specifically the computer animation class, was appropriate for Student. Parents did not agree. The team discussed whether attendance at the ELAC art program was an option. The team recessed the meeting to permit Parents and District to conduct further investigations. 27. Mr. Martinez conducted the investigation into ELAC on District’s behalf. He learned that District did not have a relationship with ELAC. A different school district had a life skills program housed at the ELAC campus, but it did not involve students actually taking any college courses there. 28. The IEP team reconvened on May 6, 2011. The attendees included Parents, Student, an adapted physical education teacher, School Psychologist Ms. Ha, a District administrator, Ms. Yu, a speech/language pathologist, Mr. Greene, Student’s Regional Center caseworker, Ms. Sosa, Mr. Martinez, and attorneys for both Student and District. 29. District’s offer of placement and services at the May 6, 2011, IEP, was placement in the ATP for the 2011-2012 school year with caseworker support (i.e. part-time District staff) during mainstreaming in art class. District IEP team members anticipated Student would attend the ATP for first, second and third period and would attend computer animation or other general education high school art classes, including Drawing and Art Fundamentals, offered at Montebello for fifth and sixth periods, depending on scheduling and availability. District did not offer full time 1:1 aide support. According to Ms. Sosa, such support would not be necessary in the ATP given its focus on functional skills for severely handicapped students. However, Ms. Sosa believed that some support, either one-to-one, or in the form of a classroom assistant working with several students, would be appropriate during mainstreaming. District did not offer aide or transportation support for Student to attend ELAC. 30. In Ms. Sosa’s and Mr. Martinez’s opinion based upon Student’s present levels of performance, her assessments and Mr. Martinez’s personal interactions with Student, the general education computer animation and other art classes offered at Montebello high school were appropriate. In particular, in their opinions, the computer animation class could help Student develop new skills in her area of interest that could further her employment prospects. In addition, they both opined that ELAC would be inappropriate for Student as it would involve additional transitions, over and above the substantial transition that would already be occurring in Student’s routine because of the move from high school to the ATP. 31. At the end of the May 6, 2011, IEP meeting, Parents wrote a notation on the signature page, indicating their disagreement with the denial of transportation and aide assistance for Student to attend ELAC. They did not sign the IEP at that time, but took it home. 32. On or around May 27, 2011, Mother signed the May 6, 2011, IEP indicating partial consent to all portions except for the denial of transportation and aide assistance for Student to attend ELAC, to which Parents objected. 33. In June 2011, Student obtained her Certificate of Completion. 34. Mother, Father and Mr. Greene are all experts in the field of art. Specifically, their opinions about Student’s artwork, the classes that were offered to Student, about differences between high school and college level art classes, and about what was required to work as a professional in the art field were qualified as expert opinions. At hearing, Father explained that he has worked as a professional artist his entire adult life. He currently works in the field of architectural glass design, and attended art classes in high school, art college, the San Francisco Academy of Art, California Arts and Crafts, the Los Angeles Academy Art Center, and classes at Otis. At hearing, Mother explained that she attended fine arts college in Japan and then at the Pasadena Art Center, where she majored in illustration and packaging. She currently works for Mattel Toys, where she designs faces for dolls, and trains and supervises the ten other artists in her group. 35. At hearing, both Father and Mother testified that in their opinion, the computer animation class at Montebello High School could offer educational benefit to Student. Specifically, they explained that even though computer animation was not her main interest, Student could benefit from exposure to these computer animation skills that would be new to her. At hearing, Mr. Greene also believed the computer animation class would provide educational benefit to Student, since computer skills encompassed a new tool that would benefit someone who wanted to pursue art as a career. 36. In Father’s and Mother’s opinions, however, high school art classes were much less rigorous than those offered in college. They also believe that high school art classes were basic, whereas college level classes contained more advanced skills, specialization and job training that were not available at the high school level. In addition, college classes were prerequisites to progress to more advanced art institutes. They also opined that Student’s talent was sufficient to advance to the next level of art classes beyond those offered in high school, which, they felt, were no longer sufficient or appropriate for her. 37. Mr. Greene opined there was no difference between high school and college art classes with respect to technical skill development. Thus, a studio art class focusing on a skill such as drawing of still-lives would not differ in college from what high school art classes offered, in his opinion. Mr. Greene further explained that the difference between high school and college classes centered on the analytical aspects of understanding and explaining art theoretically. This theoretical analytic focus would not, in his opinion, be beneficial to Student because of her limited cognitive abilities, and her limited ability to express herself on a theoretical level. 38. Student testified at hearing. She was verbal, communicative and made eye contact. She swore the oath to testify truthfully and appeared to understand its meaning. She understood and answered the questions that were posed to her. She read documents. She could identify the characters represented in her work, as well as the stories depicted in her work. Her artwork contained some written captions, including “Welcome to [Student’s] World,” and “My wing tennis shoes.” She appeared proud of her artwork and enjoyed showing and explaining her work at hearing. Student testified that Parents had her authorization to make educational decisions on her behalf. 1. 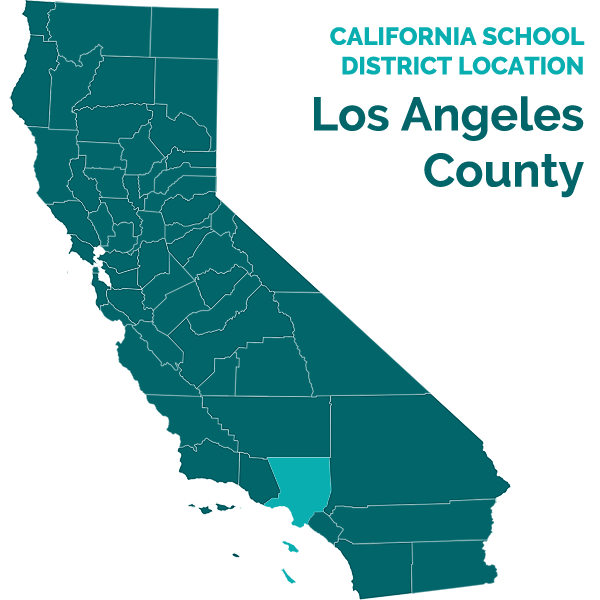 Student contends that District denied her a FAPE by failing to offer her transportation and one-to-one aide services necessary for her to attend an ELAC art class as part of her ITP for the 2011-2012 school year. Student asserts that upon completion of the Certificate of Completion, she would be considered postsecondary and thus that it would be appropriate to pursue the postsecondary goal of attending college simultaneously with the ATP. Student asserts that the transportation and aide services were necessary “transition services” based upon her individual needs, considering her individual strengths, preferences, and interests. District disagrees, and contends that it did not deny Student a FAPE, as it offered her a placement and services that met Student’s unique needs. 2. The petitioning party has the burden of persuasion. (Schaffer v. Weast (2005) 546 U.S. 49, 56-62 [126 S.Ct. 528, 163 L.Ed.2d 387].) Therefore, Student has the burden of persuasion on all issues. 1 All references to the Code of Federal Regulations are to the 2006 edition. 2 The law does not define the term “postsecondary.” Given that the ATP is after high school, it falls outside the IDEA’s and state law’s definition of “secondary” education, which ceases at twelfth grade, and may thus by inference be defined as “postsecondary.” On the other hand, the ATP is authorized by the “Adult School” provisions of the Education Code that reside within Title 2 relating to “Elementary and Secondary Education,” and therefore would appear to be “secondary” education.